Rock out at Summerfest this year. 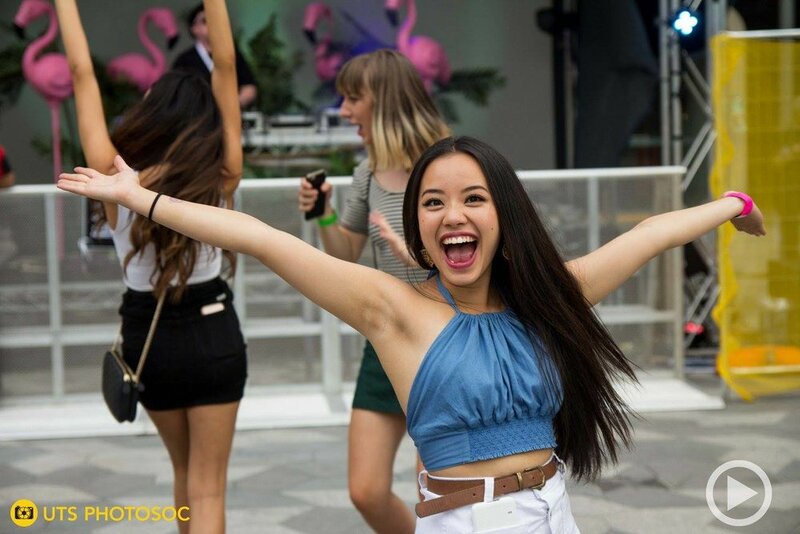 Summer might officially be over, but we’re lucky enough to be blessed with balmy weather for a few more months – and UTS’ annual Summerfest is here to remind us of just how good we have it. Set aside Friday 9 March, as this year the festival returns to Alumni Green, kicking off at 3pm with acts pumping out tunes that seem to embody the atmosphere of a lingering summer. Back by popular demand is the silent disco, and of course, we’ve set you up with multiple bars too. Throw in a few beers, ciders, wine – choose your poison – and you’ve got yourself a groovy night ahead of you. Headlining this year is Spit Syndicate, a hip-hop duo borne out of none other than Sydney’s Inner West. They’ve taken to the international stage opening for giants like Cypress Hill and Lupe Fiasco, and are now set to share the good vibes alongside stars like Mallrat and Sachi. Flexmami, Clueless, Jamarz On Marz, The Whippit, and Simon Sayz will be dishing out their tracks too. Now I should come out and admit that I’m no muso, but I’ve had an extensive gander at the entire line-up’s output – the new stuff, the old stuff, the stuff in between. Every song I’ve heard so far has firmly settled into my many Spotify playlists – a pre-emptive manoeuvre for what I foresee to be several solo dance parties to be held in my bedroom. I like to think of it as a wholesome coping mechanism for what will inevitably be massive post-Summerfest withdrawals. Do recommend. If my word is anything to go by, it’s like these artists have infused the very glory of golden hour into their aesthetic. Speaking of – once golden hour has well and truly passed, you can savour its nostalgic aftertaste at the official Summerfest after party, which begins at 10pm. Get yourself a combo ticket, which hooks you up with entry to both the Summerfest and after party at a very economical (read: student-budget-friendly) price. Your presence will bring an unlikely incandescence to the clandestine night. So, with the Autumn session impending, treat yourself to one last guilt-free boogie at Summerfest. You’ll be well looked after by the musical folks delivering their euphonic testimonials to those sultry, mesmeric, soon-to-be bygone summer days.